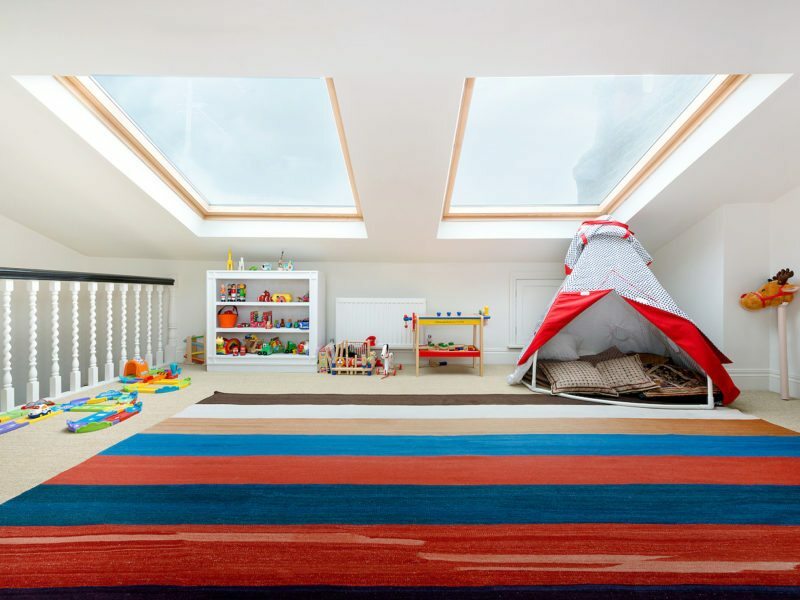 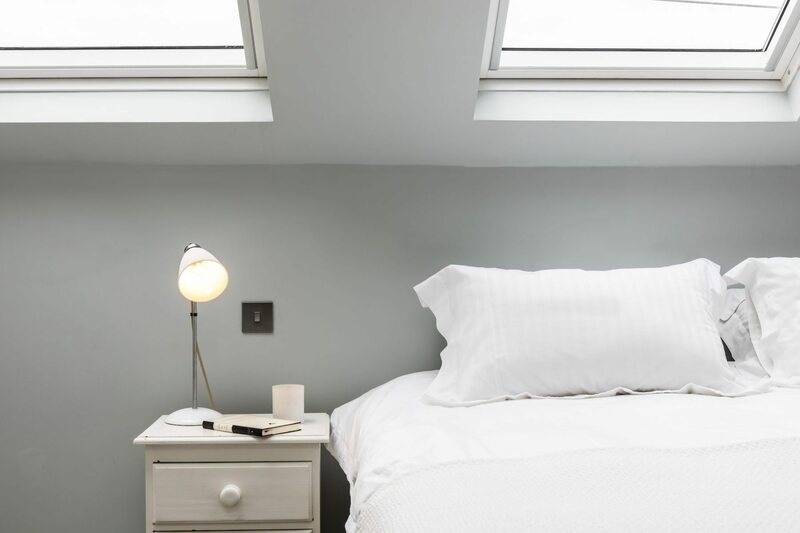 SW London Loft conversion and first floor refurbishment. 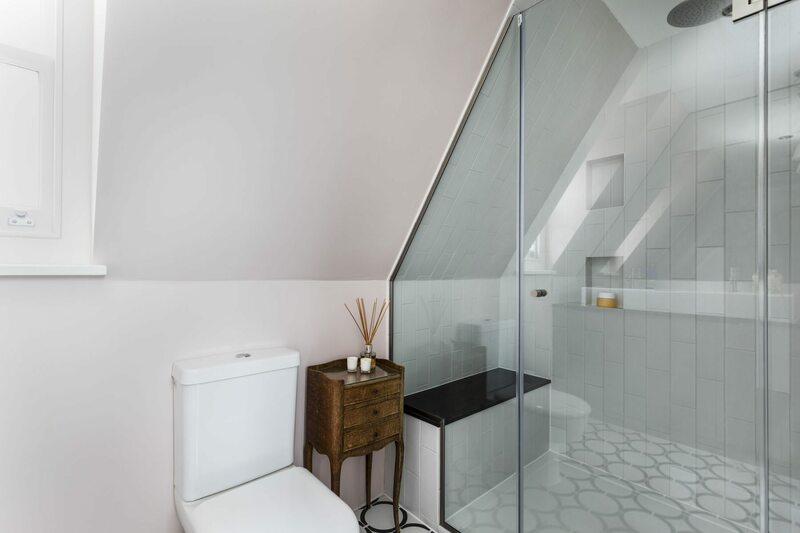 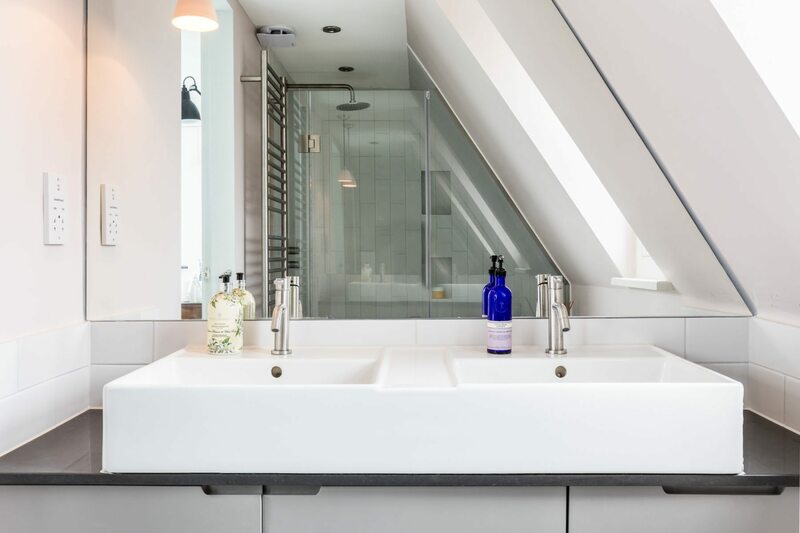 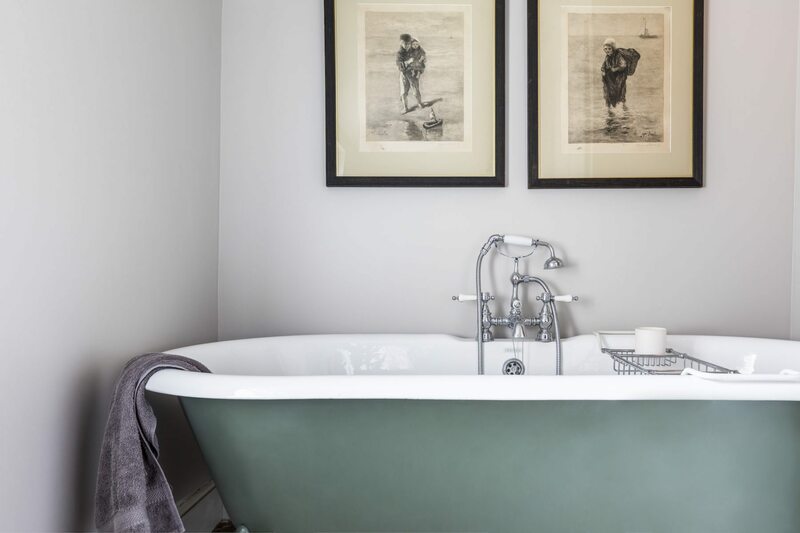 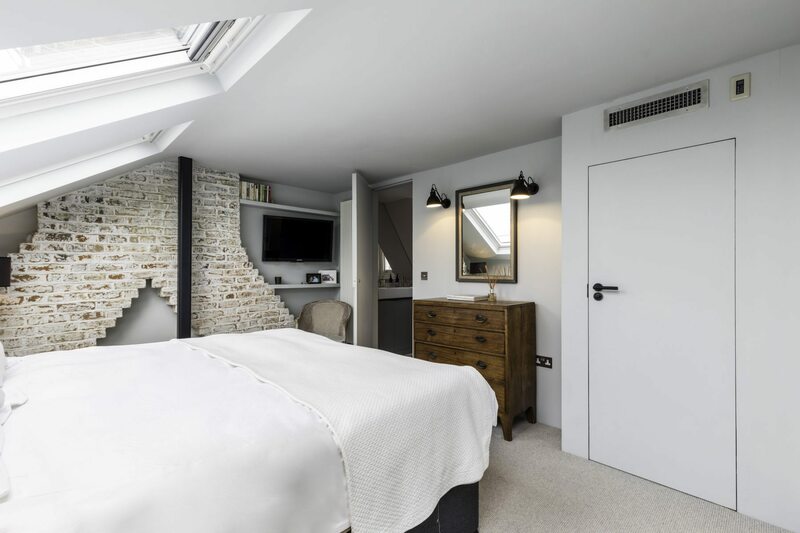 The brief was to convert an unused loft space in this Victorian house in SW London into a stunning master bedroom and refurbish two further bathrooms on the lower floors. 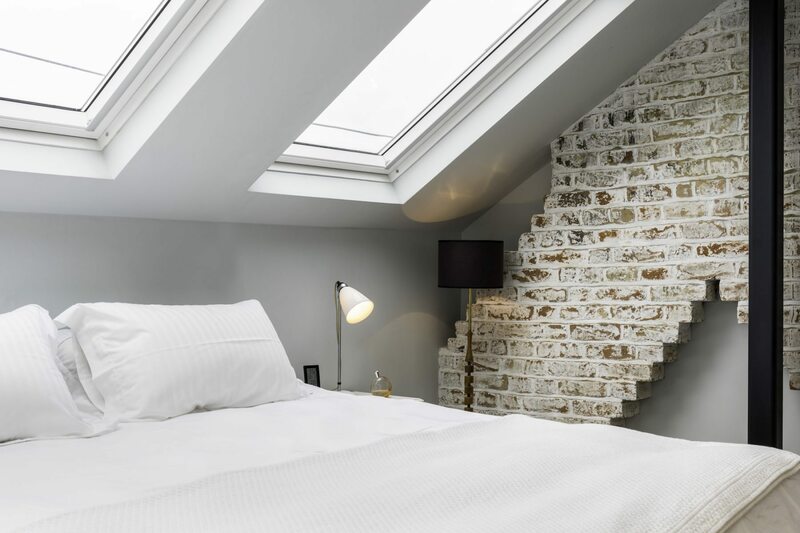 Working with our client who has a great eye for interior design, Orchestrate transformed the loft space into a beautiful space for sleeping and relaxing – in our opinion this is one of the best looking loft conversions we have ever seen. 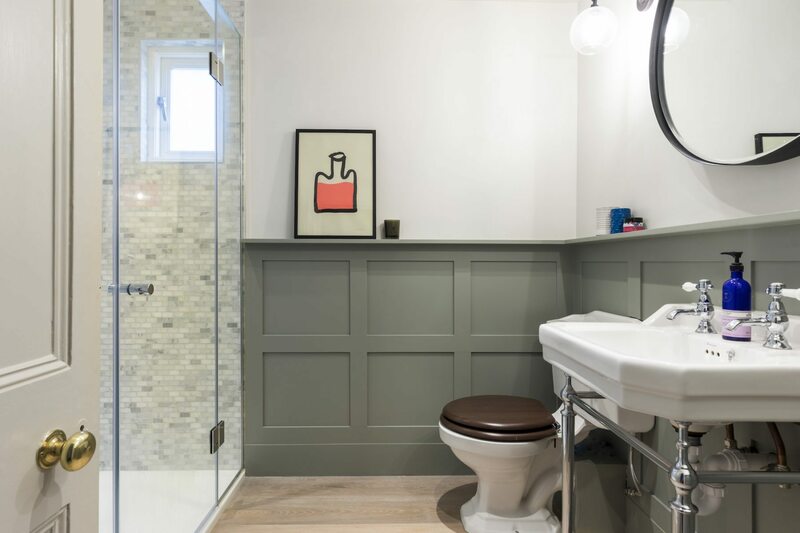 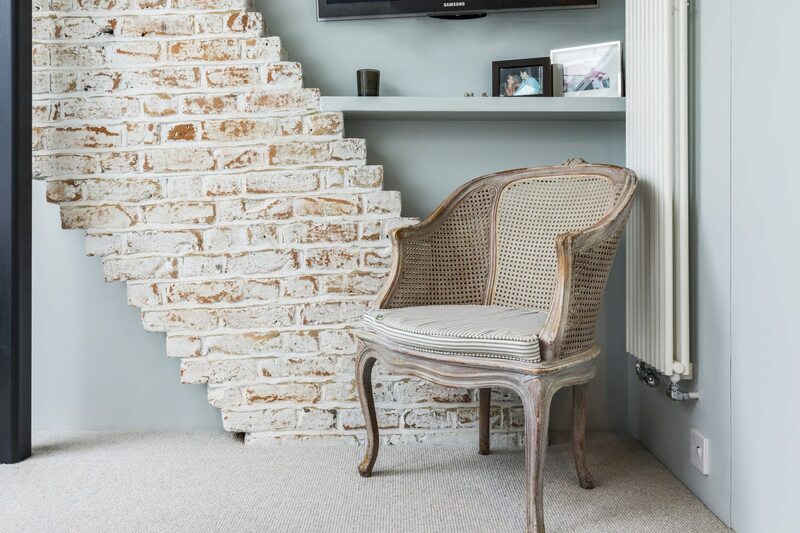 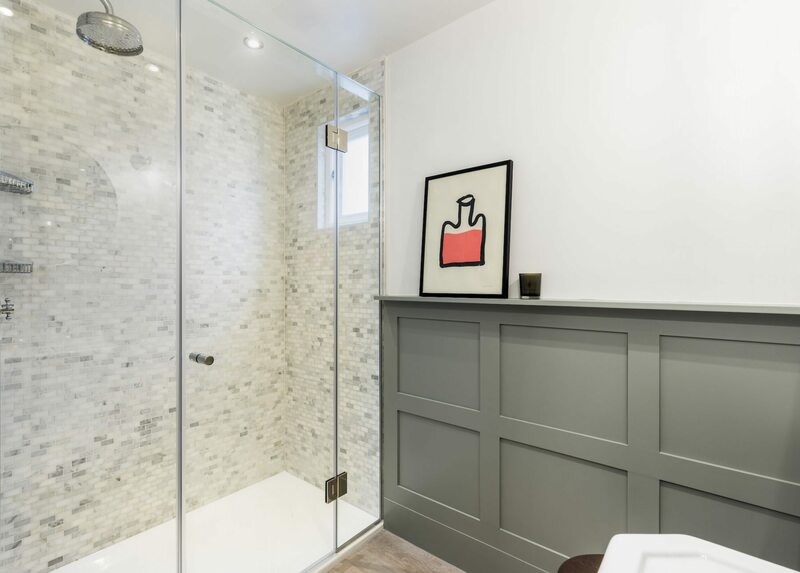 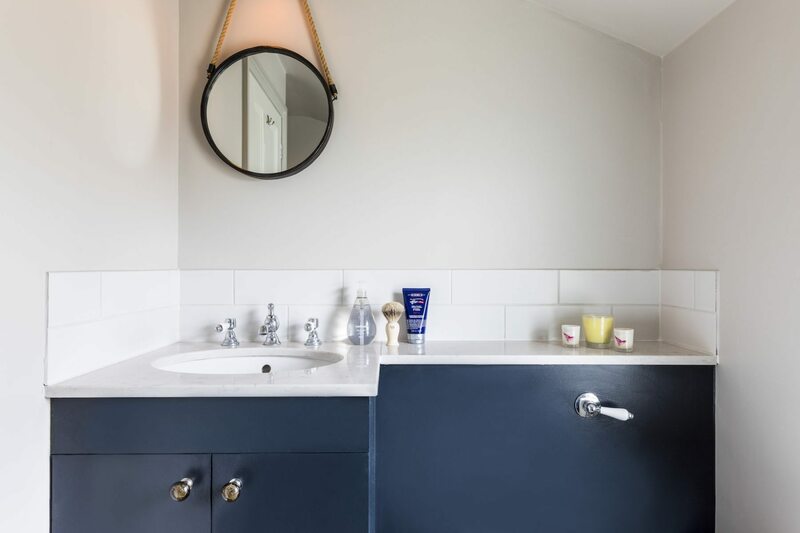 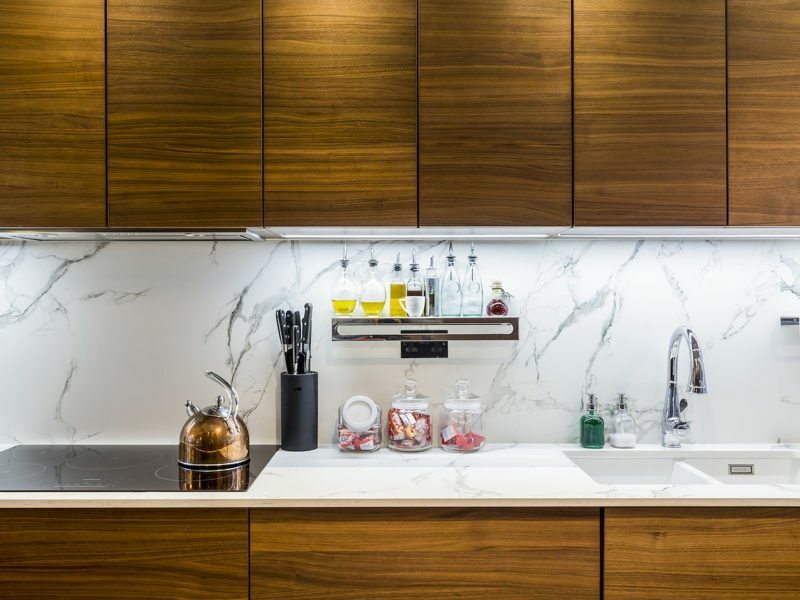 Project highlights: The dead flat wall finish, white washed brick chimney breast, exposed steel ridge post, the sprayed joinery, bespoke glazing in the bathroom and the bathroom paneling.